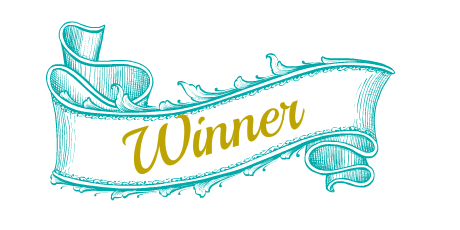 Winner of Anything For You by Kristan Higgins. Thanks to Little Bird Publicity…. Anne B from New Mexico will soon be reading…. 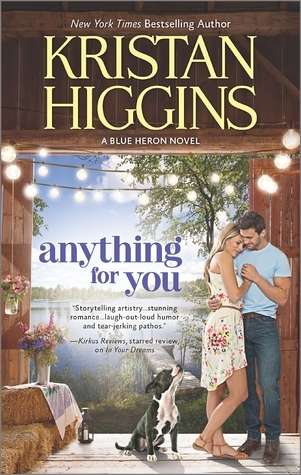 the delightful book Anything For You by Kristan Higgins. Jessica grew up poor in a trailer park, with alcoholic parents and a brother who is affected by fetal alcoholic syndrome. Jessica has been responsible and the ‘parent’ from a very early age. She has done things that seemed to her necessary at the time, but of which she carries a shame that just won’t go away. She has pulled herself up and now works at the Vineyard with her marketing degree skills. Her big goal is to own a house where she and her brother can be safe. Jessica doesn’t like others interfering with her role of caring for her brother Davey and when their Dad returns she keeps him untrustingly at arms length. Up until now Davey has hated Connor but Connor has plans to deal to that, which Jessica just might not be ready for. Connor has an A+ from me for persistence and straight out adorableness. See how he deals with one old woman – I rest my case! We also have a peep into the lives of others in the town, with updates on families and new arrivals. Oh one adult new arrival that really rubbed me up the wrong way! What a b****. I kid you not! There is the fun and good humor that is a trademark of Kristan Higgins’ books. In this book the characters and situations are complex, the romance is sizzling, and the whole deal is a very satisfying read. I love a book that is just not merely romance but something more. And by the way perfect last sentence to end by. No, can’t give it away! Read the book.